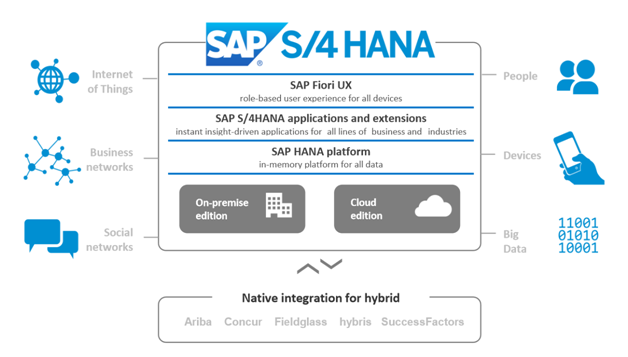 S/4HANA, the next -generation business suite is fully built on the most advanced in-memory platform today SAP HANA and modern design principles with the SAP Fiori user experience. 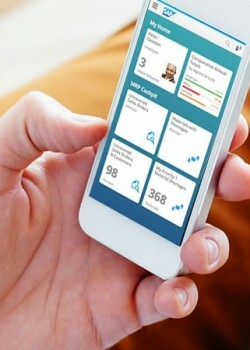 SAP S/4HANA delivers massive simplifications (Simple Finance and Simple Logistics) and innovations (Internet of Things, Big Data and business networks) to help businesses run simple in the digital economy. From a business value perspective, this means that SAP S/4HANA creates unique opportunities to reinvent business models and drive new revenues and profits. First, enterprises can now easily connect to people, devices, and business networks to deliver new value to their customers on any channel the Internet of Things and Big Data become accessible to any business. Second, enterprises can dramatically simplify their processes, drive them in real time and change them as needed to gain new efficiencies no more batch processing is required. And finally, business users can now get any insight on any data from anywhere in real-time: planning, execution, prediction, and simulation decisions may be made on the fly with a high level of granularity for faster business impact. Transform financial management with the ultimate sophistication: simplicity. As part of SAP S/4HANA SAP Simple Finance solution powered by SAP HANA is designed to provide strategic value with instant insight across finance – all via a personalized and simple user experience. At Mawai, we invite you to join us and experience the world’s most innovative ERP platform, the S/4 Hana. We have a good knowledge base of SAP Hana solutions as well as consultants who have hands on experience on S/4 Hana.